Brr is a set of cup heaters artfully designed and knitted for cold, winter days. Heater Brr insulates hands from the hot cup, keeps the heat and warms frozen hands. Knitted heaters for cups are cute and elegant accessories that make excellent inexpensive gifts. Brr heaters are made of wool. There are two silicone band inside the heater to prevent it from sliding down the cup and making the design functional and comfortable. 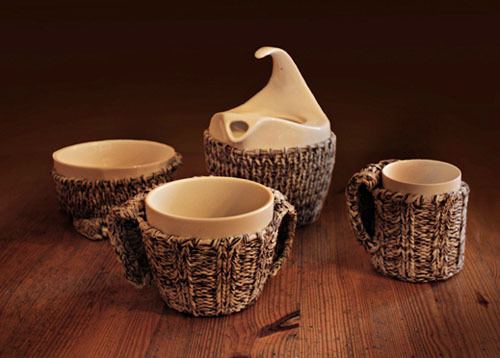 Designer Beata Faron, www.behance.net/BeataFaron/Frame/642855/ created these pretty heaters for hands and cups with yarn in pleasant coffee and chocolate brown colors. Light and convenient to use, the heaters are perfect for plastic cups and glasses. These heaters are a great diy project inspiration for those who appreciate knitted items and know how to knit, making unique kitchen accessories and wonderful handmade gifts. Knitting and crochet crafts are a nice way to add unusual and stylish home decorations to your dining room and kitchen interiors. 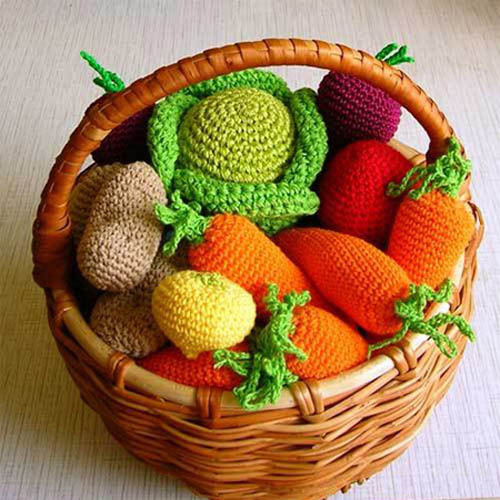 Knitted and crocheted home decor are a modern trend in interior decorating. 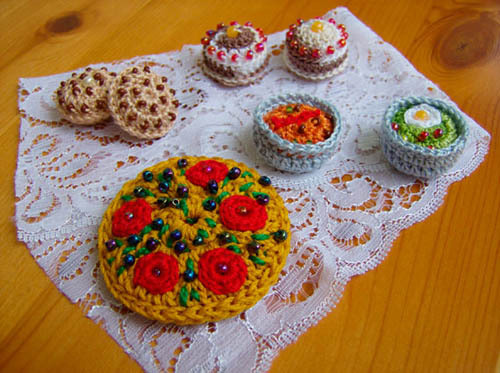 Handmade crocheted and knitted table decorations, inspired by colorful food, make bright table centerpieces that add unique personality and delicious designs to kitchen islands and dining tables. Crocheted and knitted home decor, unique furniture with handmade knitted cushions, unique knitted decorative pillows and lamp shades, accessories and table decorations, create soft and warm home interiors, blending traditional crafts and creative contemporary design ideas.